In my last post, I talked about how I`d finally fallen in love with the good ole writer`s prompt. I know, but I always catch up eventually. 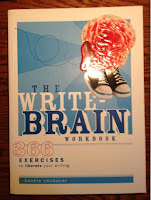 When Kerrie Flanagan recommended The Write-Brain Workbook by Bonnie Neubauer, I decided to check it out. This fun workbook, the cover tells us, contains ``366 exercises to liberate your writing.`` Each page is beautifully illustrated, and the prompts and their directions are imaginative and easy to follow. You can start your daily page at the beginning or just pick a page that looks good that day. 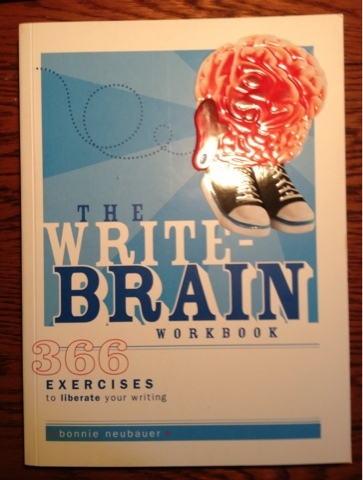 If writing everyday is your goal or you are in the depths of a writer`s block, get this book. Don`t you think it`s time to remember how fun writing can be? I`m happy with this book, and maybe you will be, too. Does your creativity need a little spark? Prompts used to intimidate me so much that I'd freeze and be unable to think. Now I find them fun and a good way to come up new ideas. This sounds like a good book to check out. I've had this book for a while. Love it. I also made myself a tub of writing prompts on slips of paper for when I get stuck. Right now, I've got some stories going so I haven't needed them, but nice to have them.